Rok se s rokem sešel a už jsou tu 6. narozeniny Clubbers die Younger! Opět jsme se spojili s Lunatic Eclipse z Rakouska a společně vám přinášíme přímo galaktickou nálož elektra, tentokrát poprvé v Kabinetu Múz. Letos slavíme s ostřílenými německými EBM matadory ACCESSORY a rakouským kybermetalovým projektem PULSE, který v rámce svého turné „Adjusting the Space“ přiveze nové vesmírné Album. A když budete pořádně rozjetí, můžete zapařit na afterparty, kde na vás budou připraveni DJ DravenCrow, DJ Zlyhad a další. Another year passed and the 6th birthday of Clubbers die Younger is behind the corner! Again, we collaborated with Lunatic Eclipse from Austria to bring you a galactic portion of electronic music, this time in a new venue: KABINET MŮZ. We will celebrate this year’s anniversary with a classic of the EBM genre, the band ACCESSORY from Germany, and a cybermetal project from Austria, PULSE, who will visit Brno within their „Adjusting the Space“ tour, introducing their new space-themed CD. PULSE was founded as a soloproject of Nemesis beside his Black Metal Band ASTAROTH in the year 2000. Fascinated and influenced by the typical synthsounds of the 80s´ and such bands like PAIN, SAMAEL and THE KOVENANT which are trying to mix the style of different genres too, Nemesis´ wish became to create a mix of electronic based music with techno, industrial and metal influences. And so, in 2012, Nemesis reactivated his project PULSE. At the end of 2013 he entered the studio with the mastermind Claus Prellinger to produce his first LP entitled „Extinction Level Event“. PULSE prefers a simple song structure with typical synth and techno sounds with industrial and metal elements to perform catching rhythms and melodies. The concept of PULSE is a deeper look into issues like religion, spirituality and the universe as well as evolution. Accessory is a German synthpop/electro-industrial group consisting of Dirk Steyer and Ivo Lottig.The duo calls their sound “Uplifting Electronic Music”. 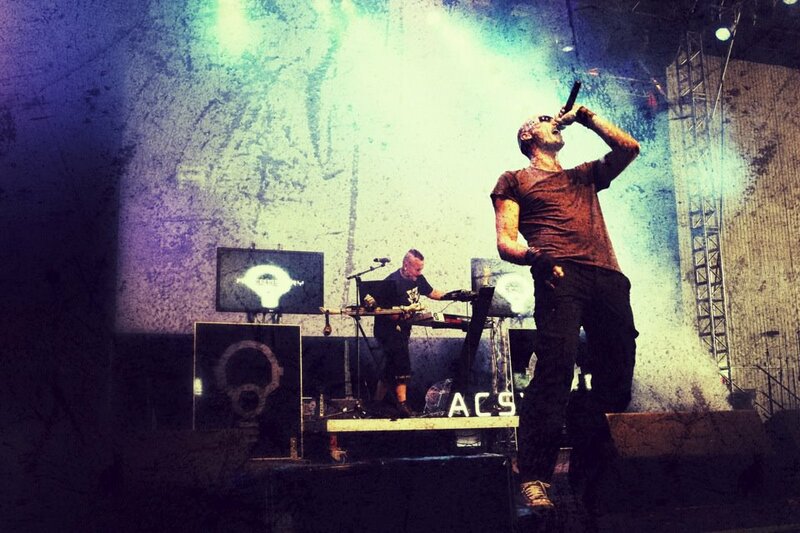 They have toured with bands such as Hocico, And One, Terminal Choice. The group began in 1994 when Dirk Steyer and Kay Resch formed a band under the name „Voices of Darkness“, becoming „Accessory“ in 1996. They released their first official album, Jukka2147.de, in February 0201 after joining the label Out of Line. Celebrate with us the band’s 25th birthday!